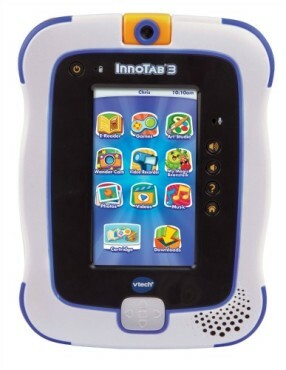 Naturally, LeapFrog’s major competitor InnoTab have brought out an updated version of the old InnoTab 2, securing their place on the top toys for Christmas 2013 list. The InnoTab 3 comes pre-loaded with 15 fun, educational and musical apps. There is also an extensive library where your child will get access up to 350 additional apps. 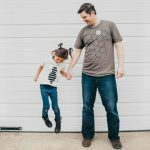 Now bear in mind that this library is constantly growing which means there will be many more educational game and app releases to keep your child well entertained. There are a few differences from the InnoTab 2. The InnoTab 3 has a smaller screen (5 inches down to 4.3), which is a good thing as it’s less clunky and easier to navigate, while still allowing for amazing graphics. 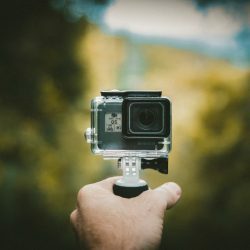 The camera has also been upgraded from a 1.3 megapixels to a 2 megapixels one and there is a new D-pad controller, making it even easier for your kids to handle the device when playing games. 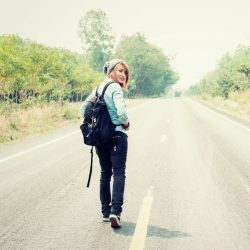 Unlike the InnoTab 2S, you won’t find wi-fi capability, but if you really like the style of the InnoTab, then the 2S model may be something you’ll want to take a look at. 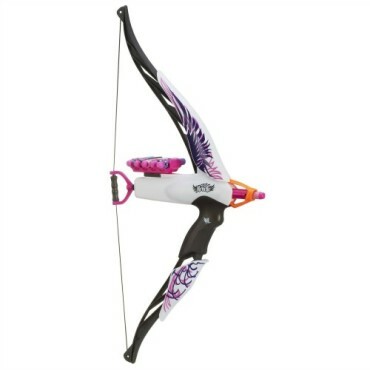 The Nerf Rebelle Heartbreaker Bow is a brand new Hunger Games inspired crossbow designed for girls aged 8 years old and up. This toy right here has the coolness factor written all over it. It’s stylishly designed with an eye catching combination of purple and pink. It comes with 5 individually patterned darts (don’t worry they’re totally safe… made out of foam in the same way as all Nerf products) and a storage accessory, making it practical to carry and store. The manufacturers say it’ll shoot darts up to 75 feet in the air. Having seen this bow in action, I’m not convinced you can actually get it to shoot THAT high. Still, archery is hot, hot, hot this year and if you want a gift that would equip a child with a sense of strength and inner confidence, then this would make a pretty good Christmas toy for girls. Gotta love it! 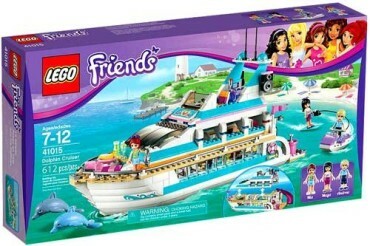 This LEGO Friends Dolphin Cruiser is just mega packed with a ton of LEGO luxuries! It’s a 2 bedroom villa set of a boat, that comes with all the amenities you’d expect to find in a luxury apartment. Well, except for the waterslide, captain’s deck, special dolphin food, dolphin sonar and waterskis, perhaps. Mia, Maya and Andrew mini dolls are included and the whole cruiser can be opened up so kids get full access to the internal workings of the cruiser. My youngest niece is still a bit too little for a set like this, but I can fully imagine her going to town with toy. A dreamy 2013 Christmas present for kids that allows the imagination of young minds run on for miles. Who doesn’t love Elmo right? 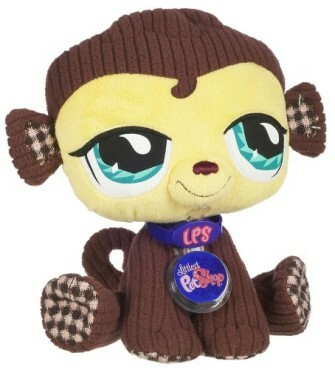 This cute little guy can sing, dance, take a nap and hug your child right back. 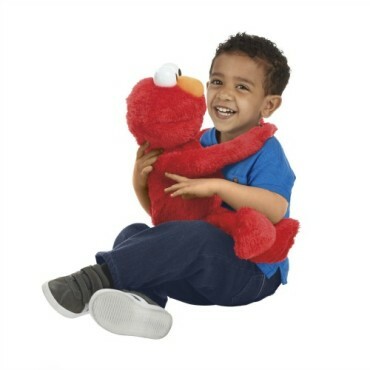 Elmo is in fact a good educational toy for pre-schoolers as Elmo will help with learning the ABC, counting, color and shape recognition as well as a whole bunch of other stuff. 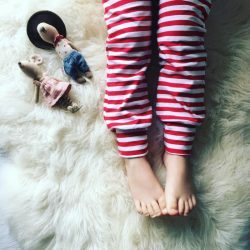 Looking for a top 2013 Christmas toy for a toddler? Then you’d do well to consider Sesame Street Elmo Hugs this year. Each V.I.P comes with a secret code that when plugged into a computer, unlocks a world of online play activities, games and other cool stuff that kids like. I’m not surprised these VIPs made the Christmas toys 2013 list. Just look at the big goo-goo eyes on this little guy. How can anyone resist this adorable creature? And last, but not least to make this top Christmas toys 2013 list, is the Disney Doc McStuffins Doctor’s Bag. 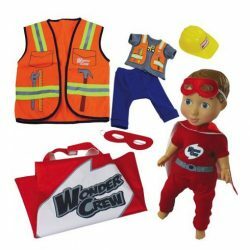 Little kids love pretend play and for some reason, pretending to be a doctor is always one of the more popular characters that children like to engross themselves with. 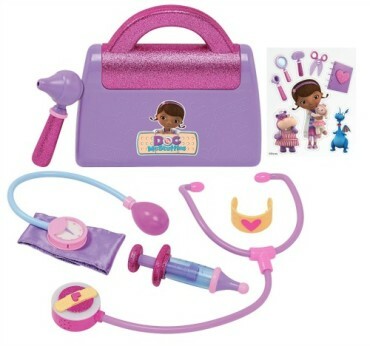 This Disney Doc McStuffins Doctor’s Bag, gives them all the tools to allow them to play out the role to perfection. The kit comes with a stethoscope, blood pressure monitor, a thermometer, syringe and other bits and pieces, all of which fit neatly into the little glittery doctors bag. And that concludes this top Christmas Toys 2013 list. 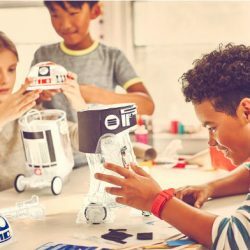 Have you seen anything here that will capture the imagination of the young person you’re buying for? Share your thoughts in the comments below.